In traditional African culture, usually at the onset of menstruation, the women within the village would take the young girls into the bush (away from the eyes of the men and boys) and would convey to them the wisdom and secret teachings of womanhood. Mothers, aunties, grandmothers and yeyes would surround the girls and give them the tools for their future as healthy women, mothers and pillars of their families and community. In western society, menstruation has been viewed as a curse, partly because as women, we have had no collective remembrance as to how to "activate" its power within our lives. Our collective responsibility as women is to transmit that information to our daughters. Drawing us back to that ancient wisdom that was passed from woman to woman, mother to daughter, sister to sister, generation to generation. As women of African descent, generationally we lost most of our ancestral memories during the African Holocaust (the middle passage). Traditions and initiations went from the front of our great, great grandmothers hearts into the recesses of their minds as they focused their energy and resources on their physical survival. As women, we have to create opportunities and sacred spaces to help us remember the power of our womanhood. As we "sankofa" back to fill in the gap of silence left by our mothers and their mothers. We have to begin to fill in the gaps by supporting women in creating the rituals desperately needed by our daughters. Reviving these sacred rituals will create the community of mature women and peers that every girl needs to help keep her afloat during the tumultuous journey from puberty to full adulthood. 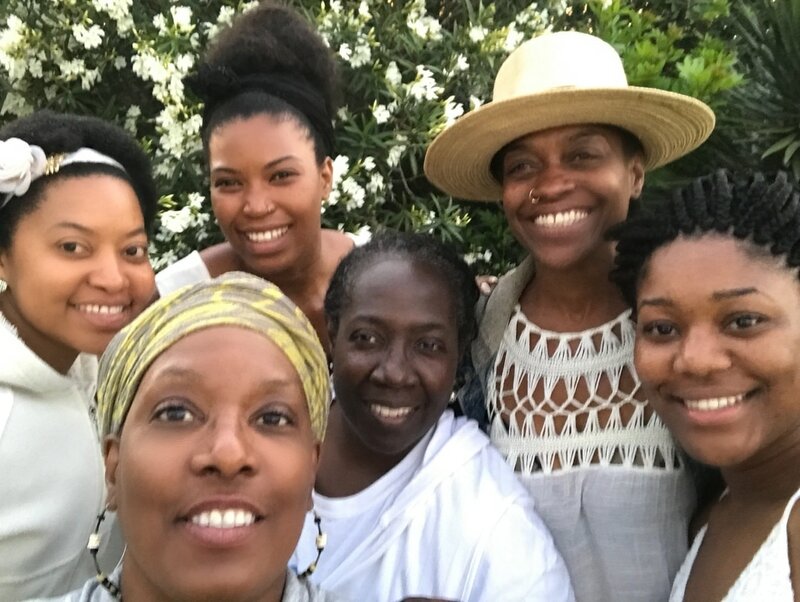 By creating a new spiritual blueprint for our community to channel the ancient wisdom of our ancestral mothers, we will be able to hear their voices and apply their knowledge and wisdom in practical, usable and modern terms. 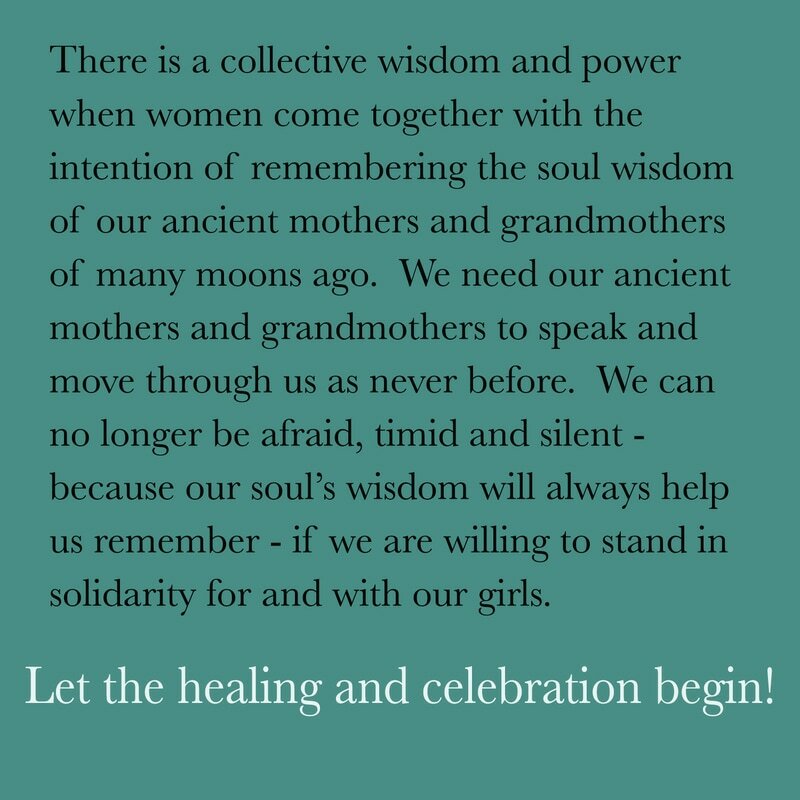 Modifying the ancient rites to fit in our urban bush paradigm, gives women and girls an opportunity to once again be physically, emotionally and spiritually aligned and attuned to their divine connection and birthright. and hold space for our girls to transform." What Is The Chrysalis Experience? ​ for working with our Butterflies-In-Training. It enables participants to identify and begin to heal personal wounds that could be triggered while facilitating and supporting girls. experience the power of transformation. ​2 or 3-day Chrysalis Experience Retreat, fill out the form below and we'll work out the details with you.